I am a wannabe gourmet chef trapped in a “Debbie Drive Thru” body. I have elaborate plans to cook healthy, mouth watering, Pinterest worthy dishes… my execution of those plans is rather elusive most days. Life happens and the menu gets tossed by the wayside. One thing I have found in creating meals that the fam will enjoy is this; when it comes to pots & pans – they can make or break the dish. It took me a long time to realize that quality matters when in the kitchen! 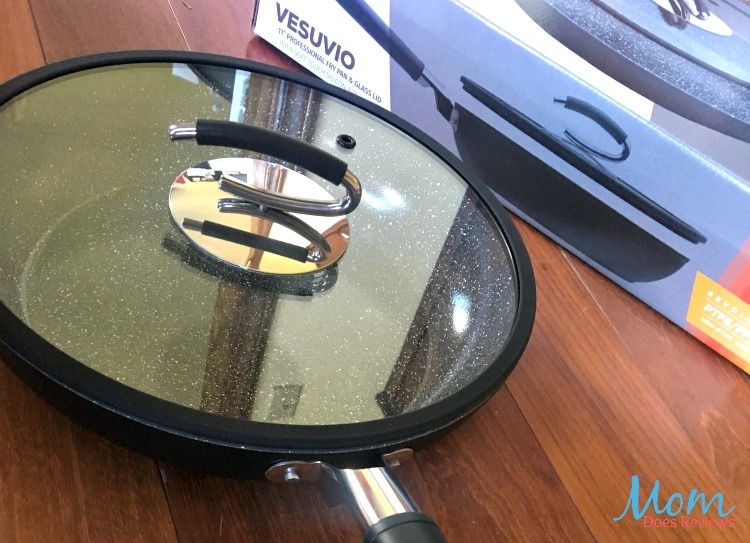 Vesuvio knows this and delivers on the quality to help me look like a great cook! Oven-Safe Design: Heat-resistant materials are oven-safe up to 450° F. Sear steaks, roasts, chicken, veggies & more on the stovetop then seamlessly transfer them to the oven for finishing like a pro. 1-Year Warranty: If you experience any difficulty with your ceramic nonstick frying pan, you can return it at any point within the first 365 days for your money back. 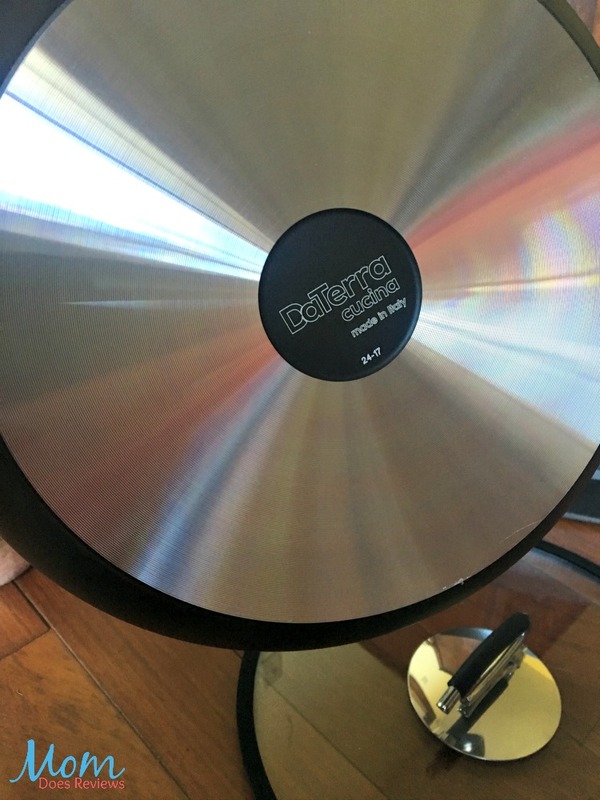 I love, love, love this frying pan! One of my very favorite features is the handle. I love the silicone handle that’s opened on one side. So much easier to grab when I’m in a hurry. I also like the fact that they lined the bottom of the lid with the same silicone. I don’t have to worry about where I set the lid while turning the chicken! Another GREAT feature is that warranty! You get an entire year warranty with this pan! You can’t ask for more than that! 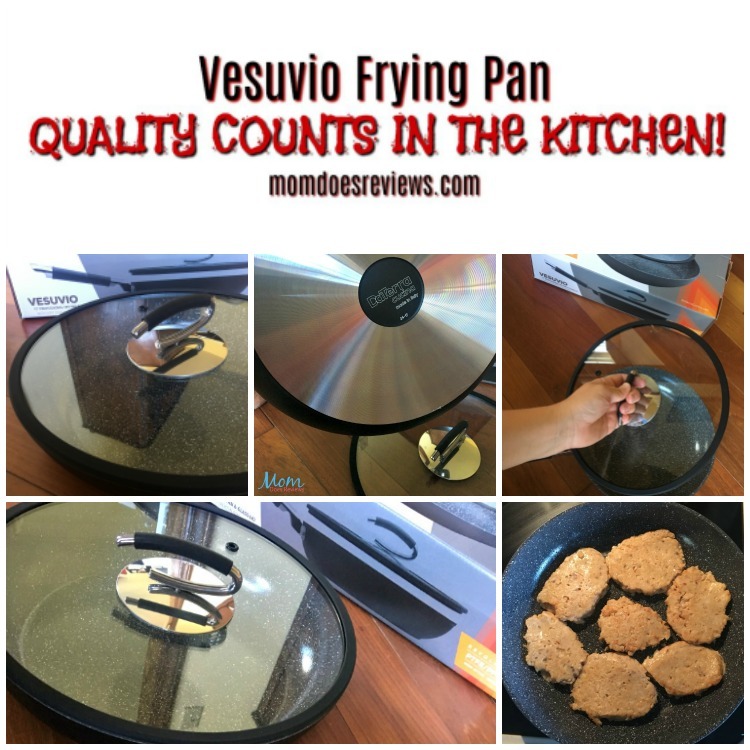 I recently made salmon patties in the Vesuvio 11″ frying pan, they were absolutely delish and a breeze to cook. 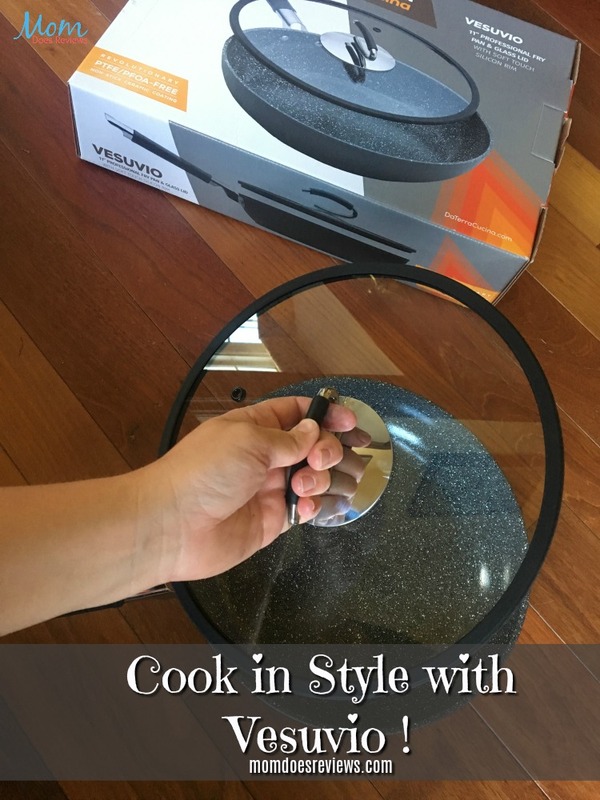 I will be adding some more of these great pots and pans to my “Wish List”! You can go HERE and order yours today! 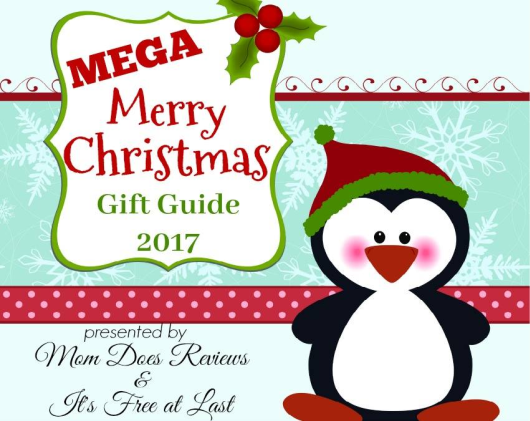 We’ve added this and LOTS of other awesome gift ideas to our Christmas Gift Guide! GO HERE to check it out!